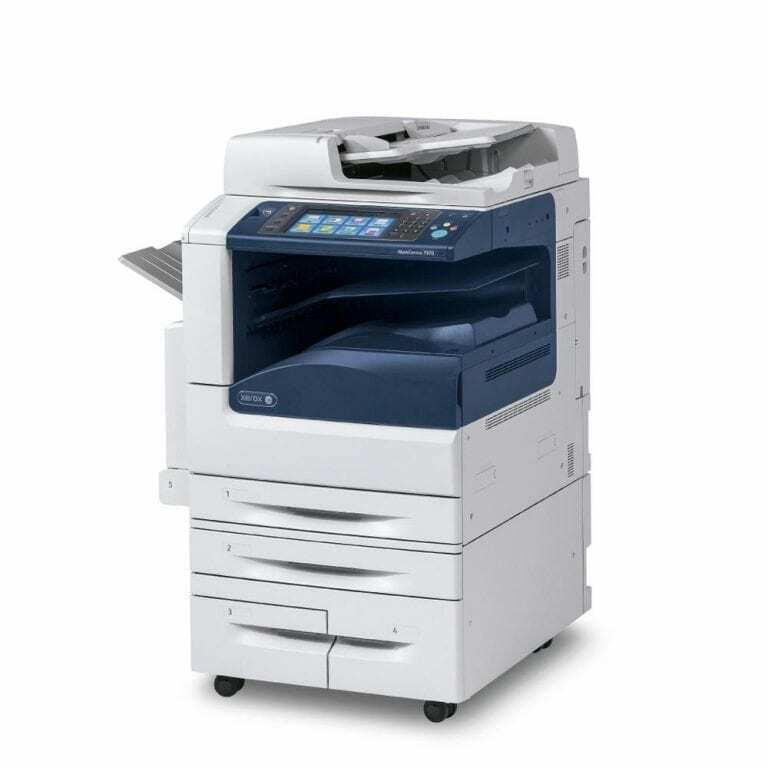 The Xerox WorkCentre 7970i sits at the nexus of technology and productivity. 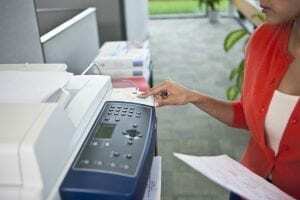 Through Xerox ConnectKey integration, the WorkCentre 7970i enables users to print from anywhere, at anytime, with any device. With robust mobile device printing integration, including Android and Apple devices, the WorkCentre 7970i makes printing on the go and working collaboratively easier than ever. As more and more business today is completed on mobile devices, ensuring your network security is an important consideration. The WorkCentre 7970i contains advanced security features, including 256-bit hard disk encryption and McAfee Embedded security. Easy integration into security protocols ensures that the WorkCentre 7970i can be quickly introduced into your networked office environment without compromising security. Alongside accessibility and security features, the WorkCentre 7970i offers exceptional prints that will dazzle your clients. Featuring print resolution of 1200 x 2400 dpi and copy resolution at 600 x 600 dpi, the WorkCentre 7970i offers top-of-its-class image quality. Add onto this lightning fast printing speeds up to 70 PPM for color and black-and-white, the WorkCentre 7970i has everything you need to revolutionize your productivity. Powered by Xerox ConnectKey Technology for enhanced security and accessibility. Security includes AES 256-bit hard drive encryption, McAfee Embedded security, image overwrite, and Secure Print. Dual-head scanner for single pass duplex scanning at 133 impressions per minute. Print resolution of 1200 x 2400 dpi, copy resolution 600 x 600 dpi. Mobile printing apps include Apple AirPrint, Mopria Certified, Xerox Mobile Link, Android Print Service plugin, PrintByXerox App. 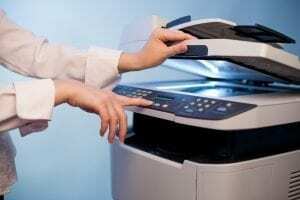 Xerox Integrated Accounting tracks Copy / Scan / Fax / Email usage. Optional finishing options include BR Finisher, BR Booklet Maker, C fold / Z fold unit, and convenience stapler. Color and black-and-white printing speeds up to 70 PPM. Monthly duty cycle up to 300,000 pages.